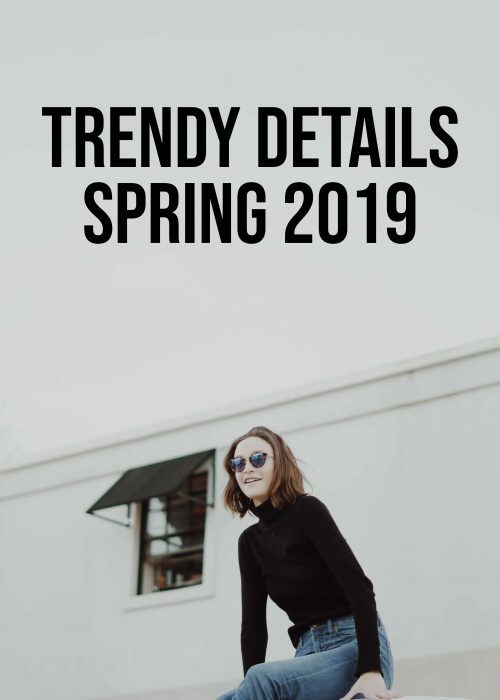 I know I’ve been talking a lot about the trends spring 2019 lately, like a lot. But it’s only because trends are a terrific tool when it comes to developing your style. Pardon me for using a cheesy metaphor, but adding trendy elements to your outfit is like adding spices to your meal. Got it? They heighten your outfit, elevate your style and gives you new ideas of how to do it better next time. What enables the trends are the wardrobe staples. You have to have a core line in your style and your well-used, basic, clothes are that core. 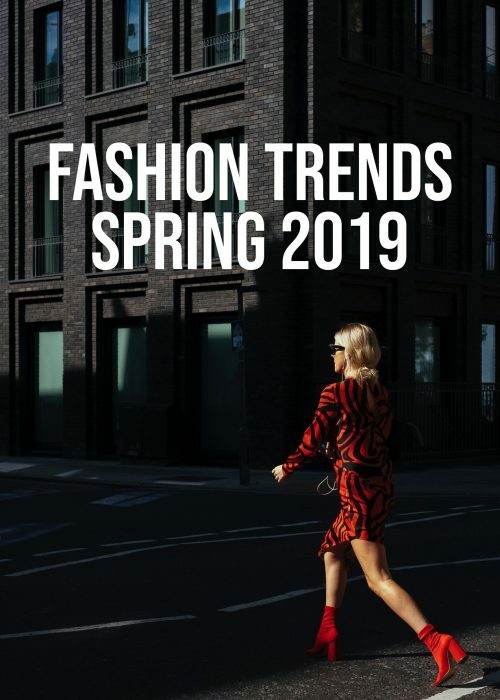 Those staples changes slightly after the season and today’s subject is therefore a guide to your wardrobe staples spring 2019. Best part? The clothes are unisex! (I know, it’s problematic that only fashion typical of men is seen as unisex and not “typical” women’s fashion such as floral dresses, but let’s leave that discussion for an article on fashion psychology later). So a blazer is always a good idea and this season in particular; a trendy idea. The blazer adds structure and formality to an outfit, which are equalities that are favorable to embrace if you’re working a more casual outfit. For instance, a t-shirt with some jeans will get a more serious look if you add a blazer. The classic combo of a shirt and a blazer is a good one for business meetings or job interviews as the look of the combination is closely associated with work. It might be dull reducing clothes to the psychology of fashion, but it’s efficient. 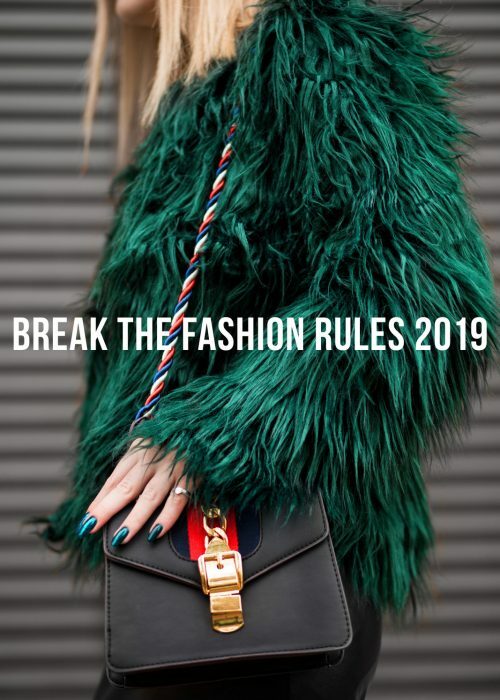 In other words, use your blazer spring 2019 to enhance the effect of a preppy fashion or balance an informal look. Classic black is never wrong but a lighter grey as well as navy blue, or beige, are better options for the lighter spring fashion! The white tee is more or less universal. There are several reason why the simple clothing piece is as iconic as it is, but let’s only touch the subject briefly today. To start with, the white color, next after black, is one of the most popular colors to wear. The simple construction of the white t-shirt, sans details, also contributes to its popularity. It’s simple to style, it neutralizes statement pieces and it keeps the outfit clean. Why the white t-shirt is a must for spring 2019 is because of its styleability. It works with your jeans, with your chinos, culottes, your patterned skirts or your check patterned blazer. Kind of with everything to be frank. The only thing I’d avoid white with (if I were to be specific and detailed) is other shades of white. Simply put: don’t pair a cold white with a warm white! Other than that, pair your white tee with everything! Oh, the beloved denim jacket! I think this clothing piece can be used in a similar way to the blazer, but with an opposite effect. If you need to make your outfit look more casual, the street style look of the denim material will help you achieve it. For instance, a classic shirt with a preppy appearance will look more casual with a denim jacket. I think the denim jacket is really chic to layer with other blue colored pieces, such as a denim shirt or a navy colored sweater. You can favorably contrast the combination with some brown leather (belt, bag, gloves etc). If you want to get detailed with your look, go for shirts with collars to double up the amount of collar. It creates a chic and detailed layering. I don’t like to use the words “crispy” or “fresh” when it comes to fashion and especially not spring fashion, but I can’t help but to do it sometimes. Why? Simply because it describes the fashion of spring so well with its distinct colors, clean combinations and pure look. One clothing item that’s both crispy and fresh, is the light blue shirt. It’s crispy with its fitted style and fresh with its light and classic color. The light blue shirt is one that’s easy to wear as it goes with the other wardrobe staples. It’s also great for layering with sweaters. Chunky knitted ones are a cozy option for spring! Folks! 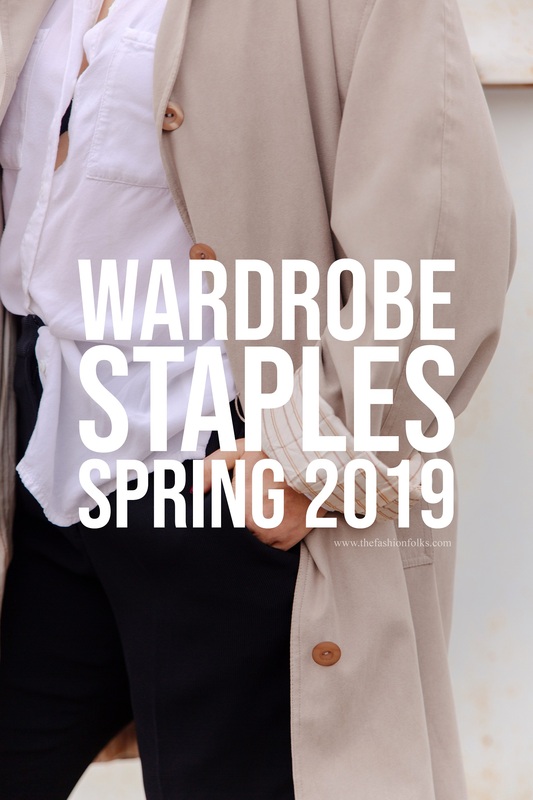 Which one of these wardrobe staples spring 2019 is your favorite? Let’s chat in the comments! Can’t go wrong with any of these, especially the denim jacket and the blazers. I love this! I think denim jackets are a must for both men and women! The idea of unisex staples is so necessary because the of the coolest trends are for women AND men! LOL at the spice comment but it’s so true. As per usual, I’m blazer obsessed, but dare I try the sneaker trend? Happy Thursday, Mia!